Rodney (Roddy) A. White, Jr., 52, passed away peacefully surrounded by loved ones on January 25, 2019, at his home in the Ossipee Mountains – the place he lived his entire life and loved so dearly. Roddy was born on June 12, 1966, in Wolfeboro, NH, to Rodney and Linda White. Roddy graduated from Kingswood Regional High School in 1985. He went on to get his CDL and become a truck driver and heavy equipment operator. He was also a logger - a trade taught to him at a very young age by his grandfather, Guy Eldridge. In 1986, Roddy met the love of his life, Ann MacIver, and they were inseparable from then on. They made a life in the Ossipee Mountains where they raised two Bull Mastiffs, Goliath and Brutus, and a cat, Cocoa Puff; all of which brought great joy to Roddy. 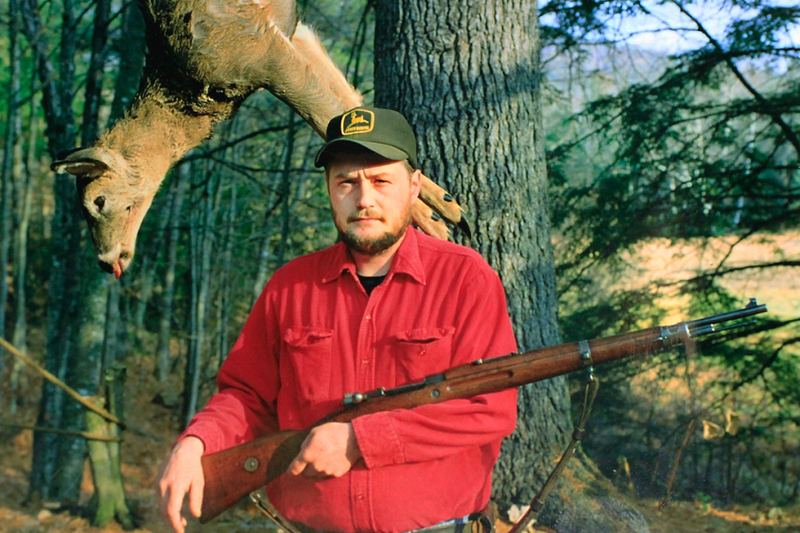 Roddy loved all things outdoors – hunting, fishing, snowshoeing, target shooting, gardening and just walking in the woods. He also enjoyed snowmobiling and riding motorcycles – with a special fondness for his two Harley Davidsons. He was a war buff, gun enthusiast and expert reloader. Roddy and Ann enjoyed campfires by the Lovell River with family and friends; this is where Roddy could often be heard sharing one of his many tales - he was a great storyteller, and equally as good a listener. Roddy was a former member of the Elks Club, as well as the Sporting Gun Club in Tamworth. Roddy was a true patriot who was proud to fly the American flag. He honored all vets who fought for our freedom. He was very proud of the VFW Post named for his father – the Rodney A. White, Sr. VFW Post #8270. He donated two guns to the organization to be carried by members marching in parades. Roddy was a very kind-hearted man who was always willing to help a friend in need. He loved his family and friends, and will be missed dearly by all who knew him. Roddy is survived by his life companion, Ann MacIver, and his mother, Linda M. White, both of Center Ossipee; as well as many aunts, uncles and cousins. He was predeceased by his father, Rodney A. White, Sr., his maternal grandparents, Guy and Lottie Eldridge, his paternal grandparents, Belmont and Grace White, and his three beloved pets. Graveside services will be held at the Grant Hill Cemetery in the spring. Donations in Roddy’s memory may be made to the Rodney A. White, Sr. VFW Post #8270, c/o Wayne Marshall, Commander, 78 Walker Hill Road, Ossipee, NH 03864.